I thought today I'd write a renewed ode to my favourite base ever. The funny thing about this is that I used to hate Laura Mercier Silk Creme. I remember buying it off the recommendation of Juicystar07 (IKR, those were the days) years and years ago. But I just couldn't get it to work for me. I felt it looked cakey and dry and just didn't sit nicely on my skin. I found it hard to blend and felt like it just wasn't that good overall. None the less I repurchased it last year after it experienced a bit of blog hype and I haven't looked back since. I don't throw Holy Grail around much, but this is just... the one. I used to wear the shade Cashew Beige, and worn Medium Ivory and Sand Beige but have been more recently matched with Cream Ivory. Which is a HUGE colour jump, I was a little shocked when I was matched to that shade as it really is so different from the one I'd used before. I find a little goes a long way, but I can use a small amount on lazy no makeup makeup days to give even coverage, then on the days I need a little more I can layer for full coverage. The finish is matte while also have a natural satin like glow. It's hard to describe, but it's sort of like "glow from within" rather than dewy. I have oily, sensitive spot prone skin and I've never broken out using this foundation. I can often breakout with foundations as I'm allergic to a lot of different ingredients that are pumped into foundations. This one has never done anything bad to my skin and anytime I get a breakout from a foundation I go back to this as I know it's so fail safe on me. 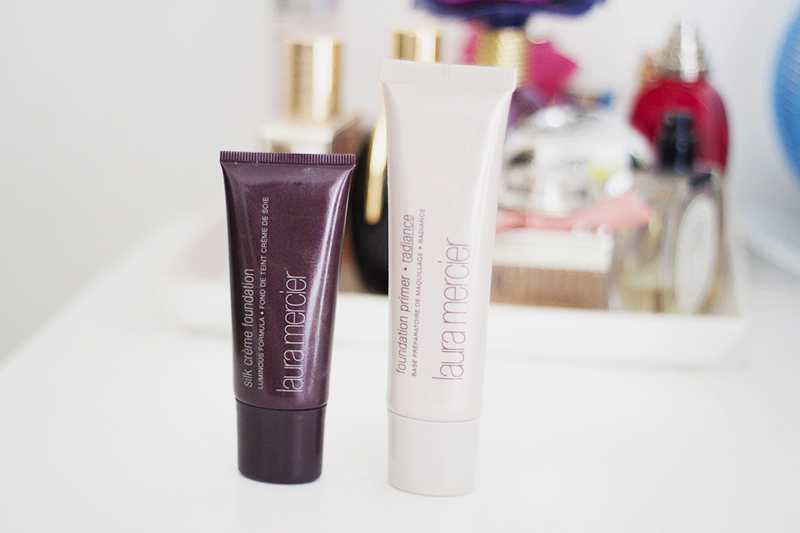 I also want to give one big nod to the Laura Mercier Primer in Radiance. It's just a stunning pink pearly primer which evens out the skin tone all the whole it perks up and illuminates the face. I recently caved and bought the full size of this after going through a mini version I got in a gift set. I love how it even's out my skin tone and brings the brightness to the face. I sometimes wear it on its own as a base when I do wear no makeup as I just feel it gives it an extra lil' something. Here are some New Year 2017 wishes greetings that are sure to touch the hearts of the recipients.